Alex Joseph Guerrero, 25, faces a misdemeanor charge of exhibition of a deadly weapon. 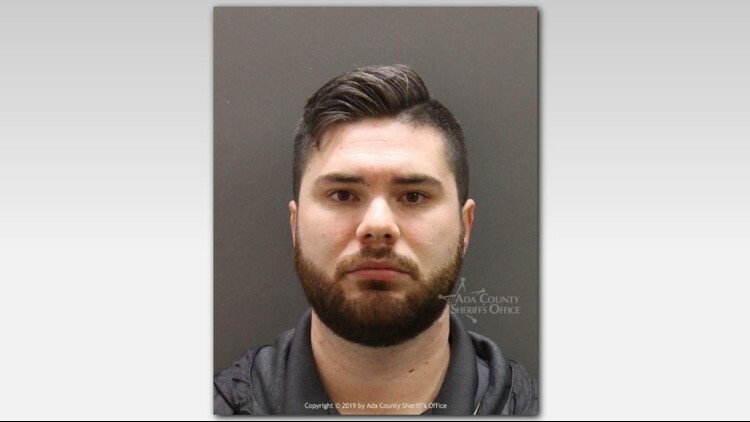 BOISE, Idaho — A Boise man was arrested Thursday night after police say he flashed a gun during an argument near Boise State. Officers responded to a report of a man with a gun on La Pointe Street just before 8 p.m. According to witnesses, the suspect had been arguing with someone across the street, and displayed a gun. Because of the proximity to the Boise State campus, the university issued a Bronco Alert to students about the situation. Officers got to the scene and found Guerrero, who was identified as the suspect. After more investigation, he was arrested and booked into the Ada County Jail. Guerrero is due to appear in court Friday.